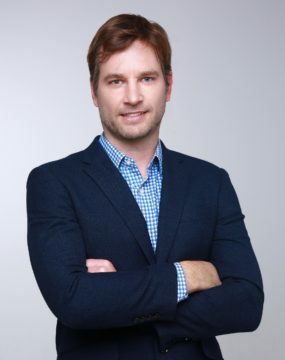 Benjamin Fanger is the Managing Partner and founder of ShoreVest Partners and is one of the pioneering investors in China’s credit markets. He has managed over $1.6 billion in Chinese distressed debt and special situations investments, and sits on ShoreVest’s Investment Committee. In 2004, Mr. Fanger was one of the founders of Shoreline Capital and architected the firm and its strategies. In over a decade of Chinese distressed experience, Mr. Fanger has been involved in sourcing, analysis, negotiation, restructuring and liquidation related to acquiring and disposing countless distressed assets in China. He has worked directly with Chinese distressed asset sellers, borrowers, judges, and government officials related to the investments. Prior to co-founding Shoreline Capital and ShoreVest Partners, Mr. Fanger started several companies, two of which he sold to public companies. During graduate school, he also worked at the law firm O’Melveny & Myers on early Chinese distressed debt and private equity transactions. Mr. Fanger has been fluent in spoken and written Chinese for over twenty years. He also holds a JD and MBA from the University of Chicago and is a licensed attorney in the State of California.